We are pleased to invite you to the next event of the series UNTER ROSEN of the Kunsthistorisches Institut der Universität Bonn. At 7 p.m., our curator Adrienne Goehler will give a lecture on "Aesthetics, Sustainability, Unconditional Basic Income and what this has to do with the arts and humanities". 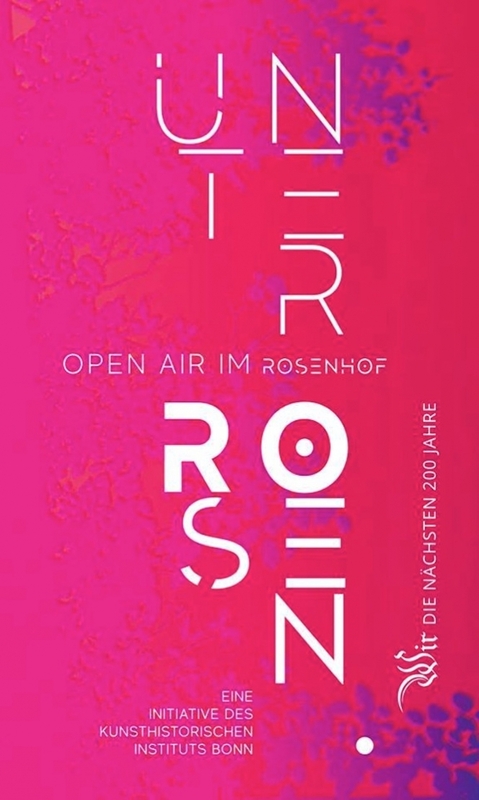 The event presented by LeFlash - Das Kulturmagazin aus dem Rheinland takes place in the rose garden of the main building of the University of Bonn.